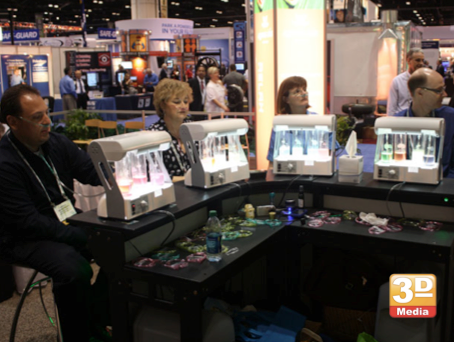 Guest Experience - Oxygen Bars are "people magnets" at trade shows and conventions. They drive traffic and promote good health. Sponsors can "breathe easy" knowing they can brand a backlit billboard to increase visibility and private label appeal. Put a smile on captive attendee faces! Brand Emersion - Each Oxygen Bar guest spends about 10 minutes at the Oxygen Bar, your message will be heard and remembered. Advertisings Features - Branded bar, scripted brand ambassadors, and signage. Multiple Flavors - Oxygen Bar offers a real "pick-me-up" as attendees breathe in pure oxygen, scented with lovely fragrances such as Lavender, Vanilla, Ocean Breeze and Zen.